Invented by Master Vex, Cellblock is Vex's idea of a good way to pass the long hours he has to spend watching over the crazy bunch of prisoners in the Darigan Citadel's dungeons. So confident is he in his skill at the game, Vex boasts that if anyone were to ever beat him then he would set all the dungeon's prisoners free. Of course, no one has ever beaten him... and just as well too, since Vex is probably more likely to imprison anyone who does than he is to set any of his current prisoners free! The objective in Cellblock is to get five of your own pieces in a row before your computer-based opponent does - the game is much like Connect-4 except, well, you've got to connect five. Your pieces are adorned with Meridell's colours and your opponents bear an image of Lord Darigan himself. Like most other non-Flash games, Cellblock is played with your mouse. 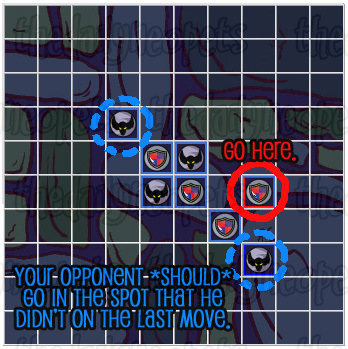 If you hover over the game board, you'll notice that the squares turn white as you move over them. 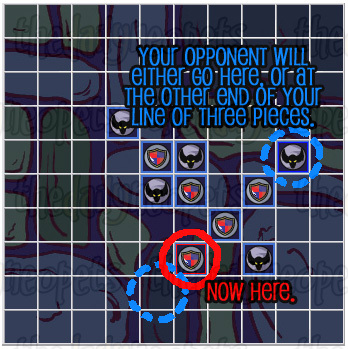 To make a move, simply click the square where you want to place your piece and it'll turn red. 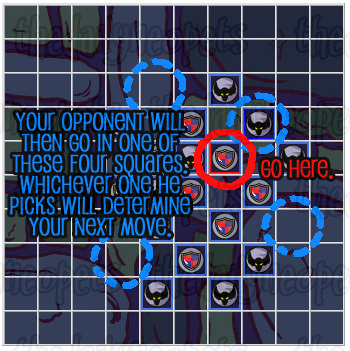 You finalize your choice by clicking the "Make Move" button under the game board. Simple, right? Of course, playing Cellblock isn't quite that straightforward. The game consists of an unlimited series of Tournaments, where you progress through eight levels, playing against the various prisoners in the dungeons before finally facing off against Master Vex in the eighth level. 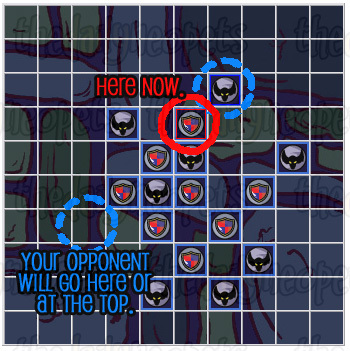 Levels consist of a set number of matches per opponent, and to progress onto the next level you must win a majority of the matches. For example, in the first level of each Tournament you play three matches against Clop. To progress on to the next level, where you play against Barallus, you must win two out of the three. Once you beat all eight levels of a Tournament, you move on to the next one and face Clop again. Tournaments get progressively harder the higher you get. The first 10 Tournaments always start off the same - with two of your pieces and two of your opponent's in the center of the board. 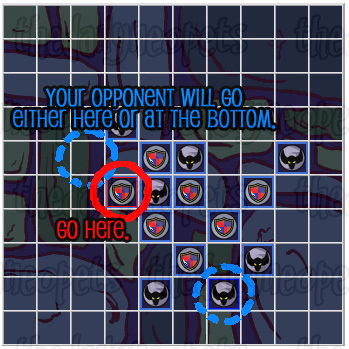 As such you can generally use the same strategy to beat each opponent! The following strategy isn't foolproof but it will work most of the time. 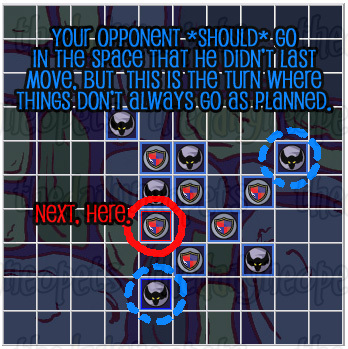 For the times when your opponent doesn't go where he is meant to, try to devise your own strategy depending on what he throws at you - its always good to think some of the time, as it will help prepare you for the later Tournaments when the board itself is always changing. 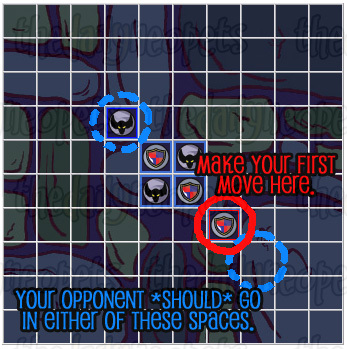 Once you make it to Tournament 11, the board is no longer fixed so there is no nice, step-by-step strategy that you can use. By this point you should be used to the game and the rules though, so hopefully you can start coming up with your own strategies. For Tournaments 11 to 50 the board contains a number of rocks - essentially these act as "blockers" so that neither you nor your opponent can place pieces on those squares. After Tournament 50 the board starts off completely blank. There is also an avatar for Cellblock! For a long time it was thought that players were awarded the avatar randomly while playing, but according to Neopian Times Editorial #210 this is not the case. However as no-one yet knows what the pattern is for unlocking the avatar, it might as well be random - you just have to play and hope that it shows up sooner or later! Most people receive the avatar sometime after Tournament 7. It has also been suggested that many people get the avatar after playing 250-300 games, so it could also be based on number of total games played. The Snowager is awake. He'll be sleeping in 2 hours, 41 minutes.